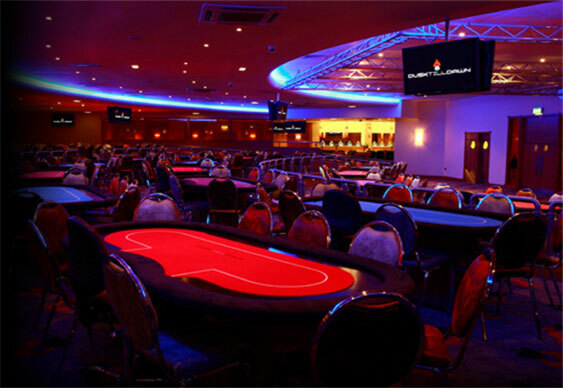 Despite the WSOP Main Event final playing out across the Atlantic last night, another batch of WPT hopefuls were focused on their own task inside Nottingham's Dusk Till Dawn in the last 24 hours. After welcoming 198 players on Day 1A, the second round of action inside Europe's largest poker room saw another 102 entrants take to the felt for a shot at the WPT500''s £1 million prizepool. Although the field was 50% smaller than the previous session, the early action was extremely frantic and within a few hours the field had been whittled down to just a few tables. In fact, as the likes of Simon Higgins, David Zermon and Gary Woods moved to the top of the chip chart, just 30 players were left with a stack. So far a number of the UK's finest have been involved in the latest WPT500 event, but Day 1C promises to welcome even more. Ahead of the start more than 300 players have already pre-registered and as the day progresses that number is expected to increase dramatically. Leading the way overall at present is the aforementioned Higgins with 3330,400, just ahead of Zermon (326,500) and Mark Elliott who scooped 275,000 on Day 1A.